﻿ Be on Facebook! Make yourself popular and business viral! Within a short frame of time, the social media portal that shot to over the sky fame was Facebook. From creating user personal accounts to company pages and profile pages to official business pages – Facebook has allowed it all and taken it into a stride and converted into a comprehensive marketing platform. Facebook now reaches to masses and there seems to be very less amount of people in the global market who do have profiles and pages – it is to the interested bunch of these mass that we need to reach out your business to. They should be aware of your business in their circles and when they need your service, they can go to your official page and have a look what your business is all about. Facebook in a short while not only proved to be a platform for connecting people around the world, but it also proved to be a great advertising site where almost everything can be promoted as long as the policies aren’t violated. Facebook page does a very good thing – creating trust and credibility – a thing that what majorities of the customers look for these days because everyone wants to read something good about the product/service they are going to buy. 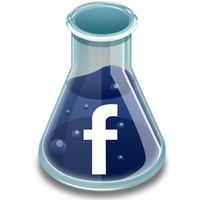 Only an effective platform like Facebook gives probable customers a sigh of relief. Viral Marketing started what with various videos and songs picking up the current and reaching out to millions through Facebook. Now, Digital Marketers use Facebook to make an online promotion of their website by creating official pages and promoting them by making them available in the ads and inviting people to “like” the page. A Facebook page URL linked to your website gives an identity to your business – a place where possible customers can find more about your business and how many people like your business – the trust and the credibility – everything laid out for future associations strike like a very good deal. How Facebook Marketing is done? Facebook Marketing starts with Facebook Marketing “Like” box – how many people like your Facebook Page and their profiles are recorded and kept on your website. People who come to your website will see how many people like your Facebook Page. The like box is also displayed in the corner of a person’s personal page as part of promotional campaign. 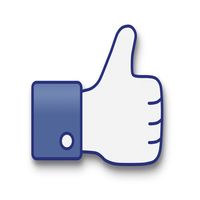 Being always active is what you need to keep Facebook Page running up and about. Sharing interesting content and posts and pictures, replying to comments of regular customers, putting interactive posts and games is what makes Facebook Page more likeable. Using Keywords for every post and putting relevant videos is what makes it even more popular and brings more people to view more people view your page! Ultimately, you need to be famous!